The Church of St. Andrew desires to be a church where you and your family come to pray, where you will worship among a warm and welcoming people. A church where you will grow spiritually; and where you and your family will have access to sound Christian learning, while finding value from our history and tradition. We desire a church where community needs are met and fulfilled, where those groups needing a gathering place find a warm welcome. It is our prayer that we are a church that witnesses the love of Jesus Christ. We are an Anglican Christian community which exists to worship God and to steward His creation. We strive to be a church where you and your family can come to pray and feel welcome to grow spiritually with us. We are a welcoming church, genuinely caring for each other and celebrating the many gifts and talents we bring to our community. We strive to welcome and care for all, witnessing the love of Jesus Christ. We are an active community of faith striving to make a difference in the greater community beyond the church walls. We strive to be a church where community needs are fulfilled and where groups needing a gathering place find a warm welcome. We are a confident church community with a lengthy history of good work in the area and yet constantly aware of the need for change. 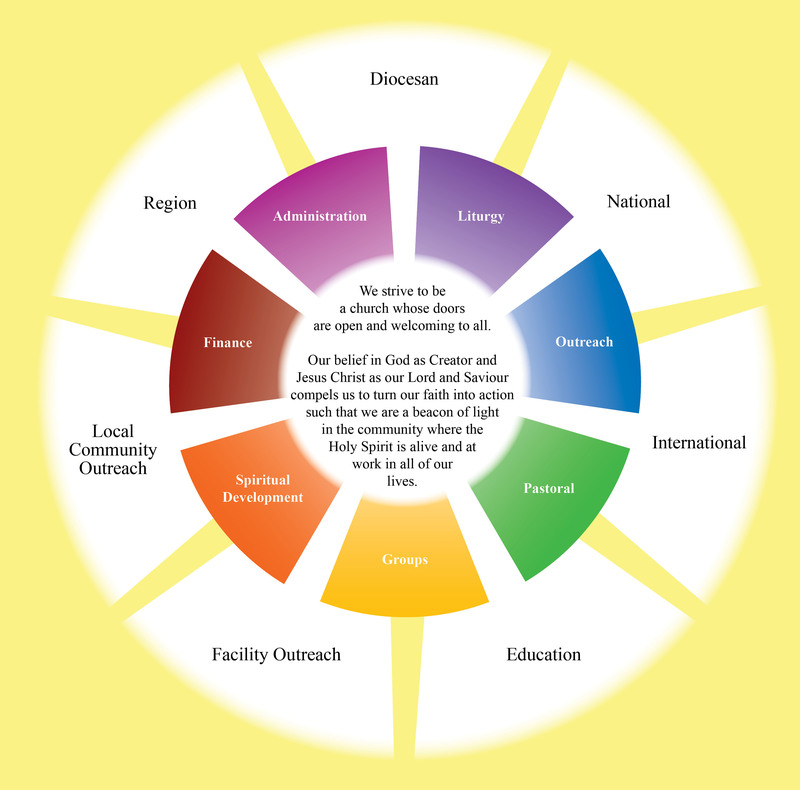 The members of our church have identified seven key ministries. Please click on each one for more information. The Anglican Church of Saint Andrew in Cole Harbour strives to be a church whose doors are open and welcoming to all. Our belief in God as Creator and Jesus Christ as our Lord and Saviour compels us to turn our faith into action such that we are a beacon of light in the community where the Holy Spirit is alive and at work in all of our lives. We are a distinctly Anglican Christian community which exists first and foremost to worship God and to steward His creation. We are a welcoming church which values its members and celebrates the many gifts and talents they bring to our community. We are an active community of faith which cares naturally for each other and which strives to make a difference in the greater community beyond the church walls. We are a confident church community, proud of a lengthy history of good work in the area yet constantly aware of the need for change. We enjoy and relish each others company and the role we play in living the word of God.